Statistics alone are testimony to the fact that burglaries and intrusion attempts are significantly lower in homes that are protected with Alarm systems. Even the attempts which are made are more likely to be thwarted. Contact sales@digitalsindia.com for designing a unique solution for you. Home security is must for everyone and apart for that setting up a home alarm system might be an ideal idea for security. Eventually, this kind of wireless security services is moreover instant and could be smart idea. Many purpose of a CCTV monitoring system is to allow users to record high quality images, store it and view it at one’s own leisure. Security systems have evolved at an amazing rate. What was considered to be an exquisite form of security or surveillance a few years ago is now commonly used in most homes and offices around the world. Home security & CCTV installation both this things is very helpful for us. Video surveillance and wireless security system also help lot in security majors and recognize suspect well. Thanks to your information and nice post. 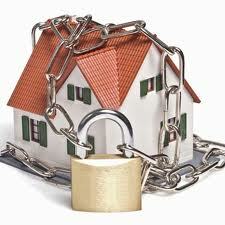 Thanks for Such useful information about home alarm systems, Security is must.